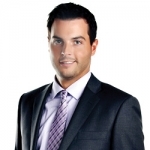 Detroit, MI, January 27, 2017 --(PR.com)-- OHM Advisors' Board of Directors and Partners (www.OHM-Advisors.com) are pleased to announce the addition of five new shareholders: Aaron Call, PE, Steven Loveland, PE, PTOE, Steven Warren, PE, Murat Ulasir, PhD, PE and Charles Rolfe, PE. All were elected to the 55-year-old firm’s ownership group on December 9, 2016. The new shareholders, nominated from among the firm’s many outstanding professionals, represent a wide range of disciplines, experience levels, and specialties. As manager of OHM Advisors’ Livonia traffic team, Steven Loveland, PE, PTOE is responsible for staff oversight and project delivery for state and local roadway infrastructure clients. Since joining the firm in 2001, he has grown in his role – developing deep expertise and long-standing client relationships in the process. Steve is an active member of Institute of Transportation Engineers and served as the Michigan Section President in 2014. He is a graduate of the Michigan Technological University. 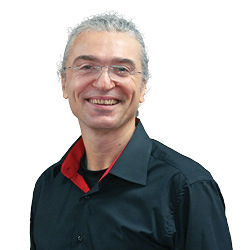 Murat Ulasir, PhD, PE has more than 20 years of experience in consulting engineering, research, and teaching. A specialist within the firm’s environmental water resources group, his focus is infrastructure modeling and sustainable asset management. His efforts helped the firm build a team with the expertise to help nearly 30 communities obtain funding and implement the technical requirements of Michigan’s SAW Grant Program. Murat has a PhD from the University of Michigan in civil engineering/hydraulics. 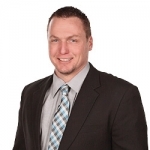 Steven Warren, PE is the director of OHM Advisors’ Saginaw office. He is a professional engineer with more than 20 years of experience. He opened the firm’s Saginaw office in 2013, Flint office in 2015, and helped fortify the firm’s reputation and client relationships in Mid-Michigan. Under his leadership, staff retention is high and OHM Advisors is thriving in the mid-Michigan market; securing multiple new clients in 2016. He is a graduate of Michigan State University. Charles Rolfe, PE is a senior project manager in the firm’s Saginaw office and serves as a resource to the Mid-Michigan region. With more than 17 years of design and construction experience, he has proven adept at both project delivery and customer relationship development, and excels in his role with efficiency and high client satisfaction. His efforts to deepen client relationships contributed greatly to the firm’s success in the Mid-Michigan market. Charles is a graduate of Michigan State University. A senior project manager with 12 years of experience working on a wide range of transportation projects for state and local government agencies, Aaron Call, PE, leads engineering services out of OHM Advisors’ Columbus office. Passionate about finding unique ways to turn routine roadway projects into impactful community enhancement opportunities, his efforts have helped grow the firm’s client base within the Columbus market. Aaron is the Past President of the Central Ohio Chapter of the American Society of Highway Engineers, and a graduate of The Ohio State University. 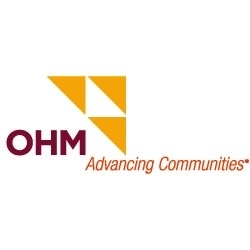 About OHM Advisors: OHM Advisors is a community advancement firm designing award-winning work across the architecture, engineering, and planning spheres. Founded in 1962, we believe in the power of multidisciplinary teamwork to find ideas that aren’t just different – they’re better. Nearly 400 employees throughout Michigan, Ohio, and Tennessee partner with leaders at all levels of government, road commissions, school districts, universities, private companies and developers, in order to create great places for people. Steven Loveland is a newly-elected shareholder for OHM Advisors. He has been with the firm since 2001 and manages the firm's Livonia traffic team. Murat Ulasir is a newly-elected shareholder for OHM Advisors. A specialist within the firm’s Environmental Water Resources Group, his focus is infrastructure modeling and sustainable asset management. 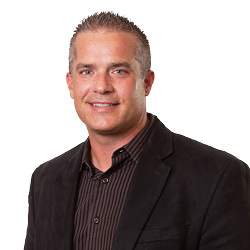 Steven Warren is the director of OHM Advisors’ Saginaw office and a newly-elected shareholder. He is a professional engineer with more than 20 years of experience. 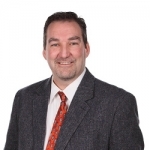 Charles Rolfe is a senior project manager for OHM Advisors' Saginaw office and a newly-elected shareholder. He has more than 17 years of design and construction experience. Aaron Call is a newly-elected OHM Advisors shareholder who leads engineering services out of the firm's Columbus office. He has 12 years of professional engineering experience.